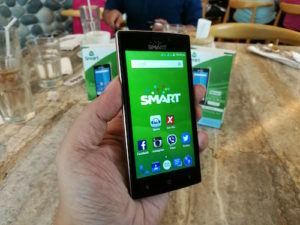 Just two days after they unveiled their new logo, SMART together with Starmobile launched the new SMART Android Smartphone Kit. 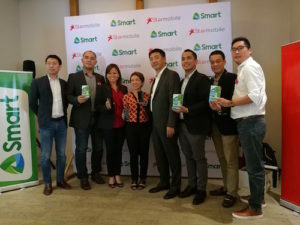 The first smartphone kit released last January is no longer available, so the new partnership with Starmobile came at the right time. 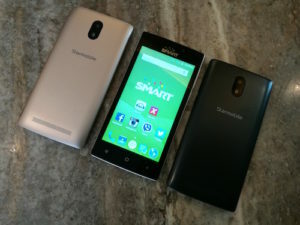 The new kit is actually the Starmobile Play Click which is available in the market since the start of June. Its retail price is P2,690, but the good news is SMART is subsidising the cost for a cheaper SRP. Aside from the phone, what else comes with the package? 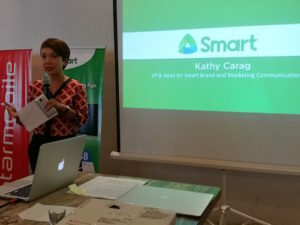 It comes with a SMART Prepaid SIM with 1 Year of FREE DATA and a TNT SIM. 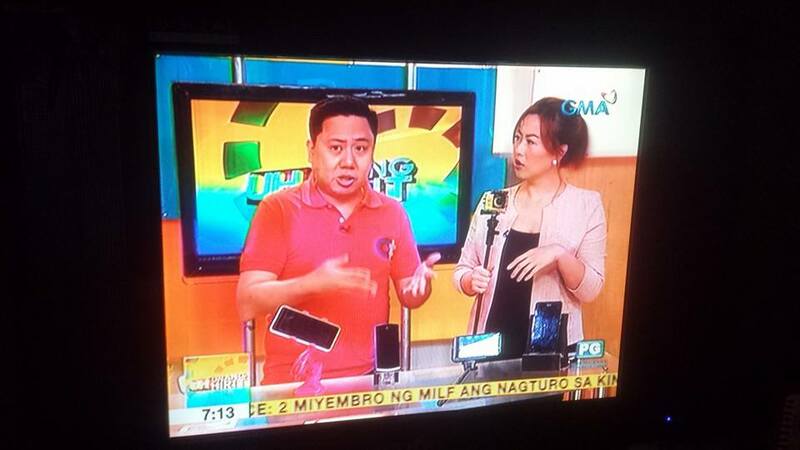 The user will receive 100MB/month for 12 months and with an accumulated P100 load every month, he will be able to enjoy load rewards up to P30/month for 12 months. 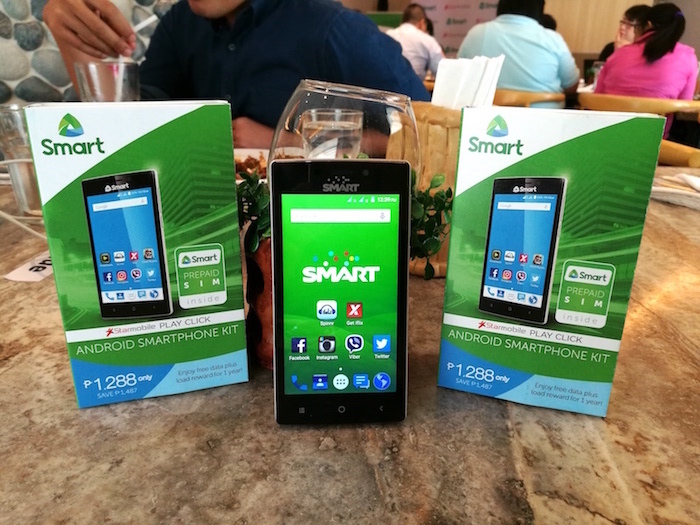 The SRP of the SMART Android Smartphone Kit is P1,288. It’s a bit more than the P888 kit before, but after checking the phone the extra P400 should not be an issue. The larger 4.5″ screen and bigger battery life should give you better value for your money. It will be available on June 17. We were given a sample unit so expect a review in a few days! Check out the hashtags #SmartPhoneForAll #BigScreenBigFun for more info!